Julius and Amedee can dress in style with grey Herringbone overalls, green hooded jacket, and red scarf. The packaging has both the French and English names for each item making it a nice learning tool as well. Brought to you by Moulin Roty, a French cooperative offering quality toys for families. 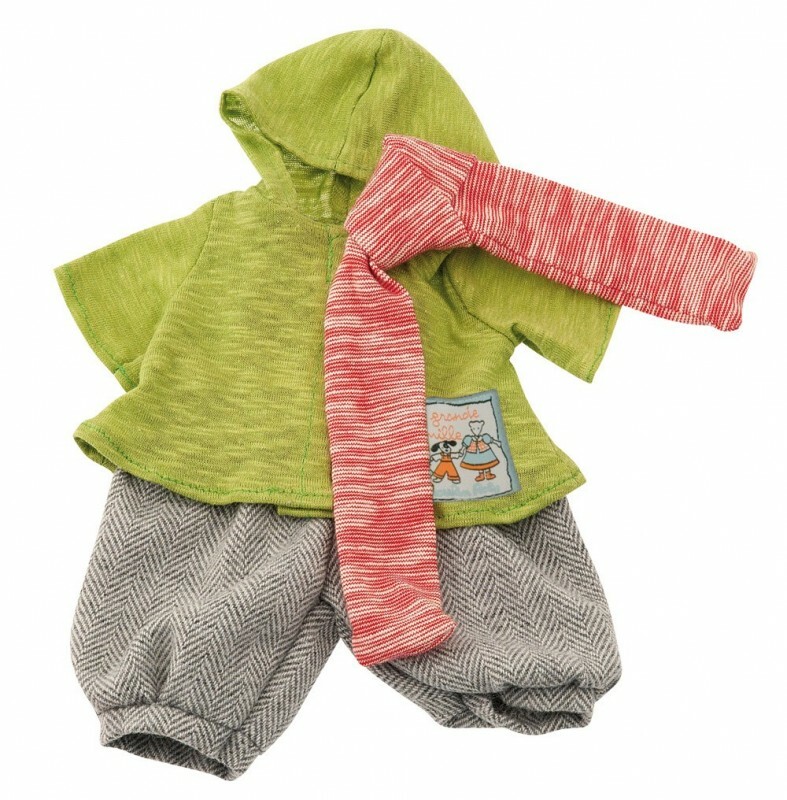 Note:These clothing sets fit all four of our Little animals--Jeanne, Felice, Amedee, and Julius.